Water damage happens when unsolicited and uninvited water attacks your home and destroys its structural capacity along with your belongings in the process and our water damage Corinth experts with 911 Restoration Fort Worth are always available 24/7/365 so that we can get on the scene of your emergency as quickly and efficiently as possible. Our water damage Corinth techs will respond within 45 minutes of your call no matter when your crisis evolves or how much devastation it has wrought. Water damage services are a vital step in the process of drying out your home. This is an absolute necessity so that you don’t inadvertently cause the mold spores and fungus present within the air to find a harbor for growth. Our water damage Corinth experts are well aware of this potential and that is why we offer our services with a free inspection and same day service just to get you started on the road to recovery with the best foot forward. As soon as our master specialized pros get on the scene of your nightmare we will immediately begin pumping out the water and doing water extractions of all categories so that you can get back to living in your living room as soon as humanly possible. 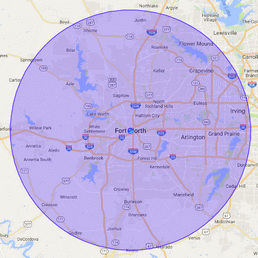 Should you already be amid a water related emergency and you want to know if it will cause mold growth to take over your home, then contact our water damage Corinth pros with 911 Restoration Fort Worth today! Water damage Corinth pros like ours with 911 Restoration Fort Worth are fully trained and prepared to deal with anything, and we do, and our many experiences with the anything factor has lead us to understand that water of any kind and the damage that results will almost always be a cause for mold growth if it isn’t properly dealt with. This reason and many others are why our techs are wholly trained to take on any kind of mold spore or fungus infestation without delay. Our water damage Corinth pros recognize and fully appreciate that many people don’t truly understand the vicious and devious nature of mold and how it can be a veritable health risk for those with less than ideal immune systems. Our recognition of this fact is one of the factors that motivates us to be licensed, insured and bonded to deal with it for you. 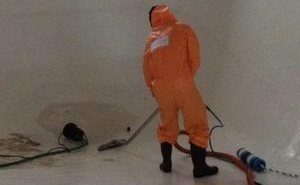 We are knowledgeable and completely ready to take on any water destruction or mold catastrophe we find. Our techs also try and educate people on the hazards of mold by describing the symptoms of exposure such as congestion and even respiratory problems as well. So if you have these symptoms, or you already see mold growing and you want to know who to call for the home water damage repair work that will be needed to eliminate its source then contact our water damage Corinth pros with 911 Restoration Fort Worth today! 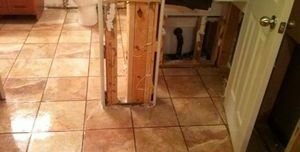 Our water damage Corinth experts with 911 Restoration are truly dedicated to our tasks and trade craft and this is just a smattering of the many reasons why we are the best water damage restoration company in Corinth. Our specialized water damage Corinth technicians are truly motivated to always put the customer first for every kind of situation that we find. We value professionalism and this allows us to constantly find ways to improve our skills and abilities to the best level that we can. Our efforts to do so constantly put us in search for more and better ways to do our job. Recently we have taken to learning the history of any area so that we can be better able to predict when and where a water catastrophe will spring up. Our techs are standing y vigilant to stop any such catastrophe from unfolding in your home. All you need to do is call us and we can take care of it for you. Should your home befall the unfortunate fate of failure of infrastructure and you want the best there is in the restoration business to decidedly take care of it all for you, then contact our water damage Corinth pros with 911 Restoration Fort Worth today!